Caption: The protein tau (green) aggregates abnormally in a brain cell (blue). Tau spills out of the cell and enters the bloodstream (red). Research shows that antibodies (blue) can capture tau in the blood that reflect its levels in the brain. Age can bring moments of forgetfulness. It can also bring concern that the forgetfulness might be a sign of early Alzheimer’s disease. For those who decide to have it checked out, doctors are likely to administer brief memory exams to assess the situation, and medical tests to search for causes of memory loss. Brain imaging and spinal taps can also help to look for signs of the disease. 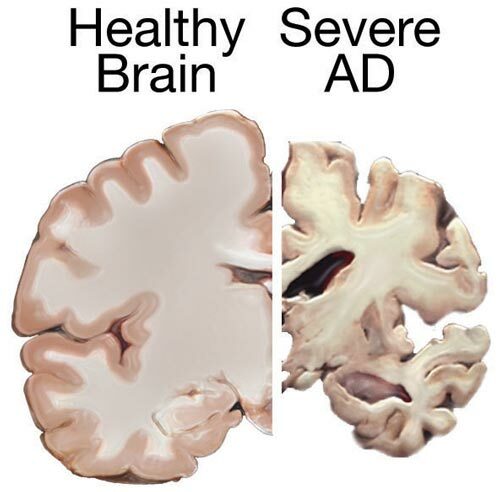 But an absolutely definitive diagnosis of Alzheimer’s disease is only possible today by examining a person’s brain postmortem. A need exists for a simple, less-invasive test to diagnose Alzheimer’s disease and similar neurodegenerative conditions in living people, perhaps even before memory loss becomes obvious. One answer may lie in a protein called tau, which accumulates in abnormal tangles in the brains of people with Alzheimer’s disease and other “tauopathy” disorders. In recent years, researchers have been busy designing an antibody to target tau in hopes that this immunotherapy approach might slow or even reverse Alzheimer’s devastating symptoms, with promising early results in mice [1, 2]. Now, an NIH-funded research team that developed one such antibody have found it might also open the door to a simple blood test .